One addition to our Halloween decor. Giant DIY spider web. 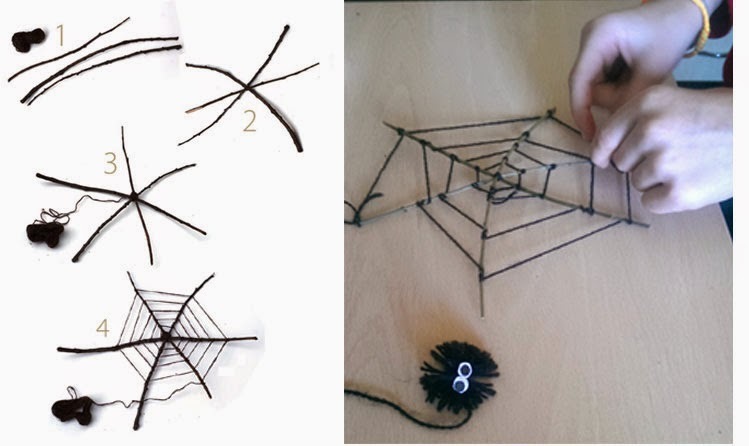 If you’re looking for a fun kid’s craft between now and Halloween, this should fit the bill: cool spiderwebs that are easy to put together, easy to personalize, and won’t cost you a thing if you have some leftover yarn or string lying around. It’s easy to find small sticks or twigs on the ground. Start with three of four twigs of the same length . Look for twigs that are fairly straight and skinny. 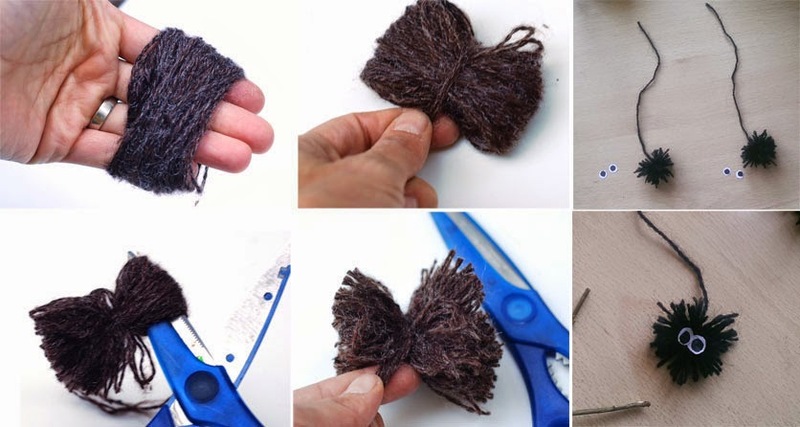 To begin weaving on the yarn, wrap it around the ball of glue a few times. Then wrap it over and around one stick and across to the next stick where you’ll go over and around again, then on to the next one. You can go clockwise or counter clockwise. When your web looks good, tie the yarn to the last stick you’ve wrapped and then use the extra tail of yarn to hang your web. Of course you need a spider, lurking in the web.